Greetings. I'm quite new to these forums, but I would like to share a brand that caught my eye during a recent holiday in Rome. A friend of mine and I ventured out into the outskirts of Northern Rome. It was a quaint area away from the hustle and bustle of the city center. We stumbled upon a small shoe shop while we were having some espresso around the corner. 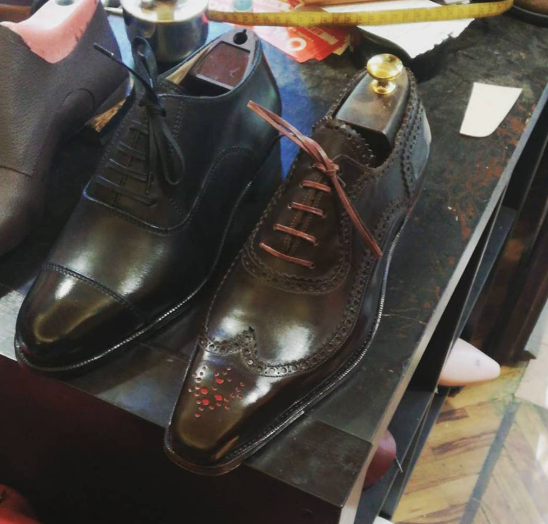 All shoes and materials are made in Italy. He expressed to me that he would like to get his name out there eventually, and I hope to be able to help with that. Any feedback is also welcome. Last edited by DressedWithASmile; April 11th, 2019 at 01:36 PM.